If anyone knows me, I love me some comics! From X-Men, Fantastic Four, to Marvel & DC, I just been fascinated with comics ever since I was a little girl. 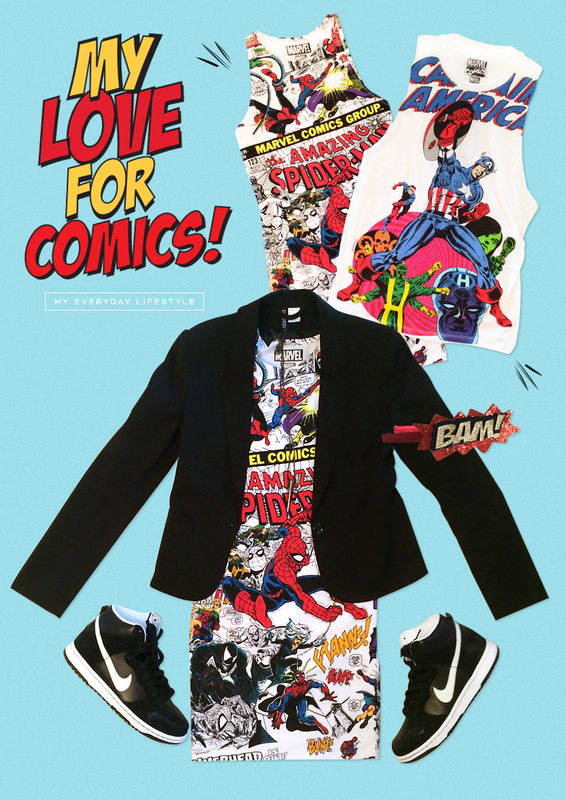 I was esctatic when I walked into Forever 21 this past weekend and found out that they carry a whole comic collection line. Glad it's becoming so trendy now. I bought this awesome Spider Man dress and Captain America shirt for a steal! Pair it with a blazer and some sneakers and you got a full outfit. (Can't wait to wear it when the weather gets better). Now if I can get my ticket into Comic Con this year...hmm.